Sometimes when you can’t get a trademark through, you have to find other ways to fight it. After being citing as a reason to not permit a trademark registration for its Firewall Zero Hour game, Sony has moved to cancel DC Comics’ ZERO HOUR trademark claiming the 1994 crossover comic book trademark was abandoned for non-use. Way back in 1994, when The Flintstones was the number six highest grossing movie of the year and the New York Rangers were Stanley Cup champions. Man, that was a long time ago. 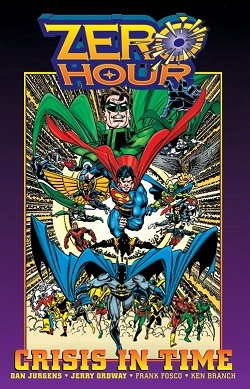 Zero Hour was a crossover comic book event with the main story line featuring the destruction of the timeline by the efforts of the former Green Lantern, Hal Jordan, then known as Parallax, attempting to restructure the universe and correct things that he perceived to be wrong. If I had that power, I would make sure the number six highest grossing movie of 1994 wasn’t The Flintstones. Since this time, DC Comics has not done anything further with the story but still maintains the trademark rights to the ZERO HOUR term. 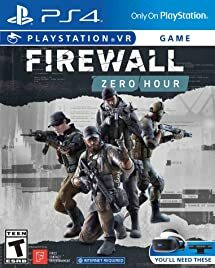 In 2018, Sony released a new game called Firewall Zero Hour. The first person shooter is an online virtual reality tactical action shooter where players called contractors take on contracts issued from agents who are known as mother and father. Each contractor has a different passive skill for use on the field which can help support the player fend off the enemy team from completing their objective. The game was nominated for several game awards. When Sony went to register the trademark for FIREWALL ZERO HOUR, DC Comic’s old mark was cited as potentially confusing and stopped progress on the registration. However, Sony was not about to give up on this trademark game so easily. Last week, Sony petitioned the Trademark Office to cancel the ZERO HOUR trademark claiming that the mark was only used as part of the 1994 comic book event and since the mark has not been in use for three years, the mark is deemed abandoned and should be cancelled. 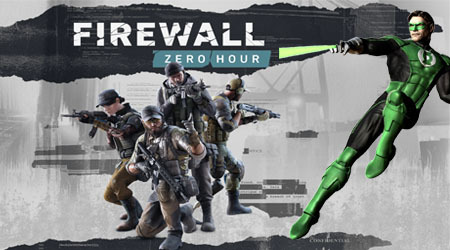 With the mark cancelled, it would be smoother sailing for the registration process for FIREWALL ZERO HOUR. Me thinks that there is more to this than meets the eye. I can’t imagine that Sony didn’t reach out to DC Comics first to ask them to consent to the mark going through or voluntarily abandon the dormant trademark. Maybe DC Comics has further planes for ZERO HOUR and is not ready to give up on it. We shall see if DC Comics responds to the cancellation proceedings.